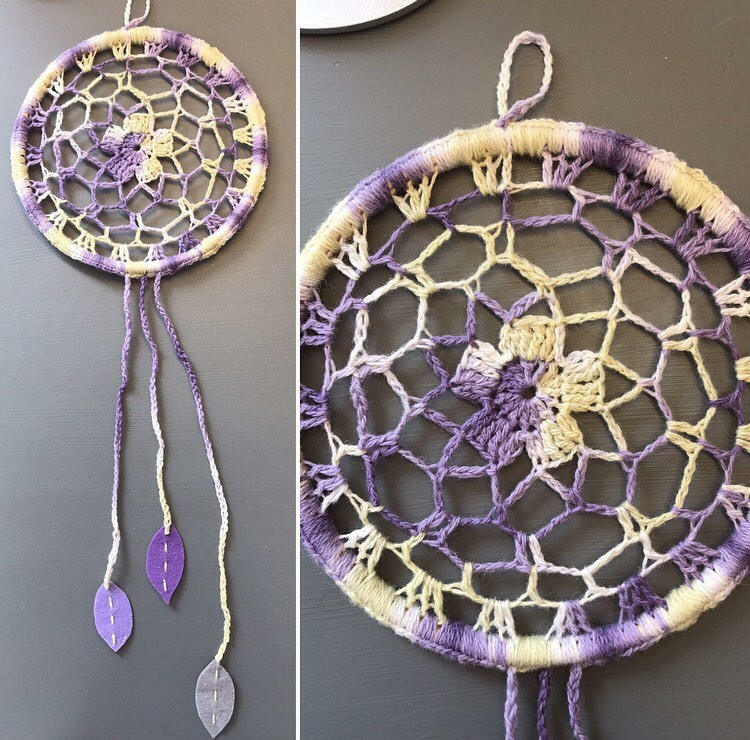 This is a kit for a crochet dreamcatcher, and it would be a great project for an improving beginner. Full instructions are given and a detailed video tutorial is available to help you complete it. 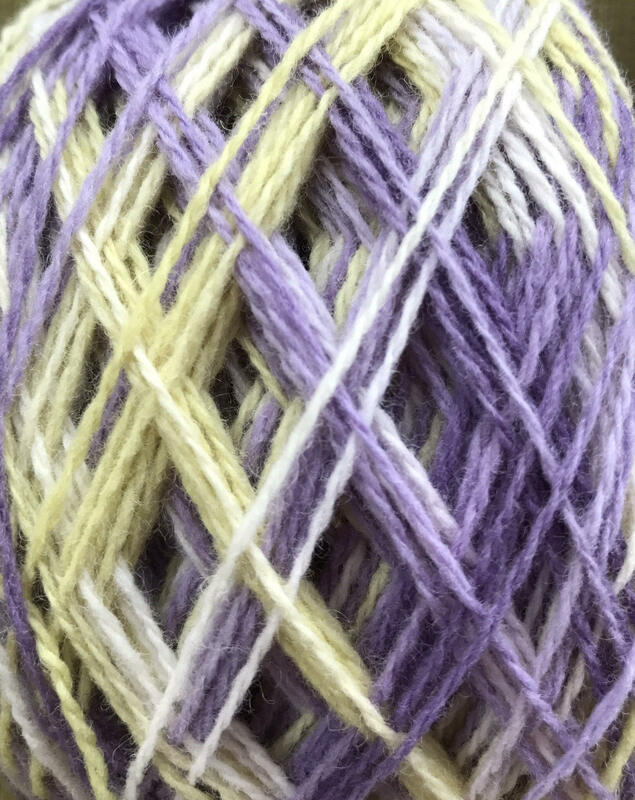 I hand dye the yarn myself with 100% natural dyes in my workshop and this particular yarn is from a local woollen mill less than 10 miles from where I live in Aberdeenshire, Scotland. You'll receive a mini skein of this 4ply supersoft lambswool. 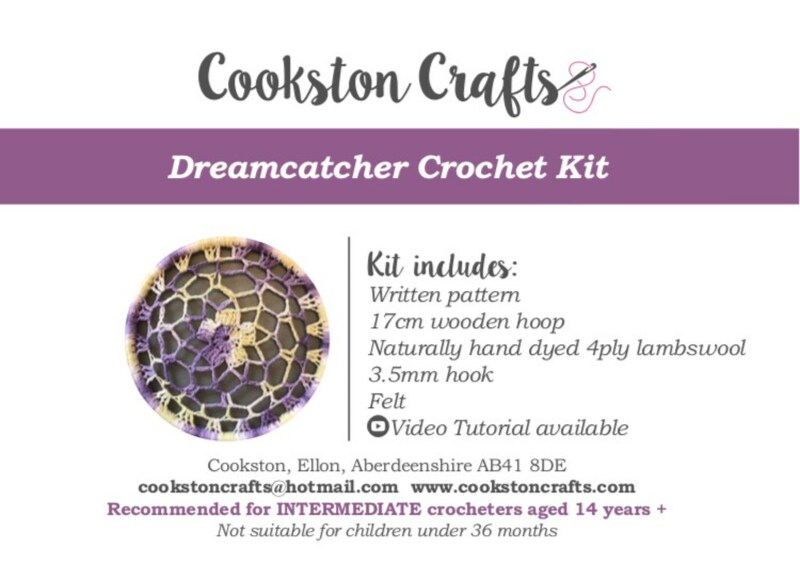 Each kit contains: instructions, hand dyed 100% lambswool, a 17cm diameter wooden hoop, felt and a 3.5mm crochet hook. 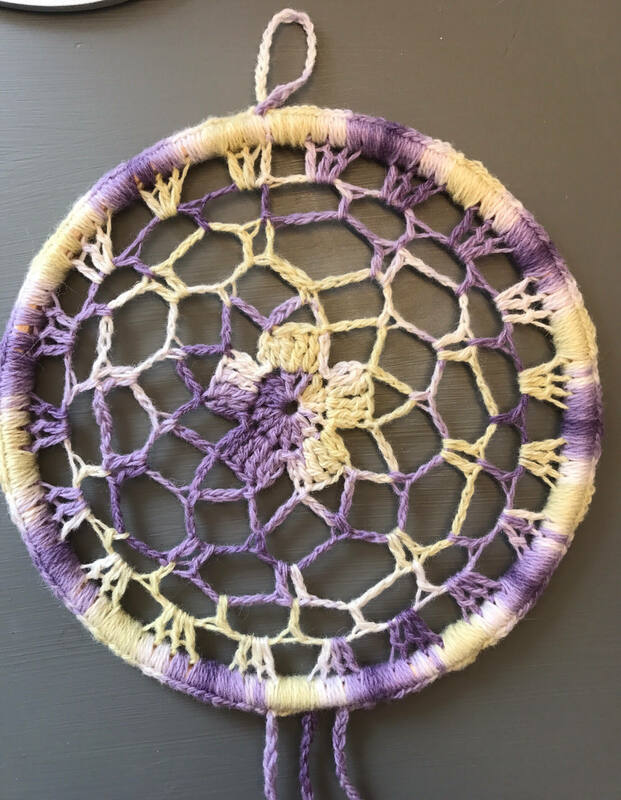 You will need a darning needle to sew in the yarn ends.